The founder of NeckSafe (a charity dedicated to reducing head and neck injuries) and Class of ‘78 alumni, Dr Adrian Cohen, presented an advance screening of the movie, Concussion, starring Will Smith, at a special event on 17 February at Bondi Junction. A number of old boys came along for the event which also featured a Q&A style session with several former first grade football players. 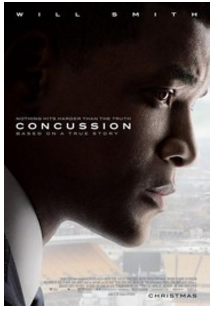 Concussion is an American biographical sports thriller starring Will Smith portraying Dr Bennet Omalu, the forensic pathologist who fought against efforts by the National Football League to suppress his research on the brain damage suffered by professional football players. Other alumni involved in NeckSafe include Professor Tom Havas (’69), Dr Tim Musgrove (’78), Paul Crawford (’78) and former Headmaster Bob Outterside who is a long time Life Member of Randwick Rugby where the concussion research is being done. Funds raised from the night will support NeckSafe’s educational course, HeadSafe, which is dedicated to the elimination of preventable head and neck injuries through advocacy, awareness, education and research. The work of the charity was recently featured in an article in the Sydney Morning Herald.